Can I Really Sell My Springfield House Quickly, Safely, And Easily? There is not need to worry or be concerned. That is why Hampden Homebuyers is dedicated to helping solve all of the uncertainty that comes with selling your Springfield home. The home selling process can be daunting but when you sell your Springfield home to us, it’s the complete opposite. With us you can easily get through all of the hassles and stress of the home selling process and you get an instant shortcut straight to the closing table with cash in hand. 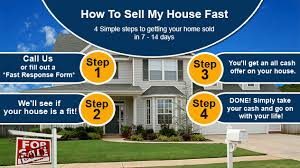 Are you ready to sell your Springfield home quickly? Hampden Homebuyers prides itself on Speed, Security, Convenience, Professionalism, and Certainty of getting your Springfield home sold fast and for top dollar. Stop worrying about how you are going to sell your Springfield home. Selling your Springfield house for cash may sound like a good idea to you, but how can you maximize your quick cash sale benefits? Many homeowners are benefitting from house cash sales. In fact, in many markets, cash for home sales are reaching a very high percentage of sales. One can sell a Chicopee or Springfield house quickly, for example, a trend that is growing. We’ve listed here ways to maximize your benefits of a quick cash sale. Forego the Renovations. Many real estate investors will buy your house for cash regardless of the property’s condition. You may be able to save a tidy sum by avoiding costly repairs, renovations and upgrades that may not add significantly to the value of your property by selling it “as is”. Selling “as is” also speeds up the sales cycle, putting money in your pocket now that you can use for other purposes immediately. Don’t Pay Unnecessary Fees. One advantage of a house cash sale is the ability to avoid fees and commissions associated with traditional real estate sales. You should not have to dig into your pocket for fees, and certainly not commissions, for a house cash sale. Select an offer from an experienced, local real estate investor that offers low or no fees. Get it in Writing. Protect yourself by getting a written contract with guaranteed payment. Read the fine print of the contract and clarify any questions before signing. If you are still unsure, consult an attorney. Real estate deals involve a lot of money, so ensure you are protected. If a real estate investor offers you a deal without a contract or without clauses that protect your interests, walk away. Get Your Cash Now. House cash deals should be fast deals. A big advantage of a cash house deal is that you avoid the time associated with listing with a realtor, putting your house on the market and waiting for buyers to qualify for a loan. The cash you realize from a house cash sale can start working for you immediately. Whether you intend to use the cash to pay off debts or for other investment opportunities, the sooner you have it in the bank the better. Don’t accept a sale condition that requires a waiting period. Ensure you will receive your money at the time of sale. A Springfield house cash sale can provide the seller with distinct advantages. Paying attention to a few details can help maximize the benefits of a quick cash deal. Could you benefit from a quick cash house sale? Call Hampden Homebuyers now at 413-248-SELL to get a quick cash sale for your Springfield, Chicopee, Holyoke house…. or fill out our “Sell Your House Fast” form to get the process started quickly! !